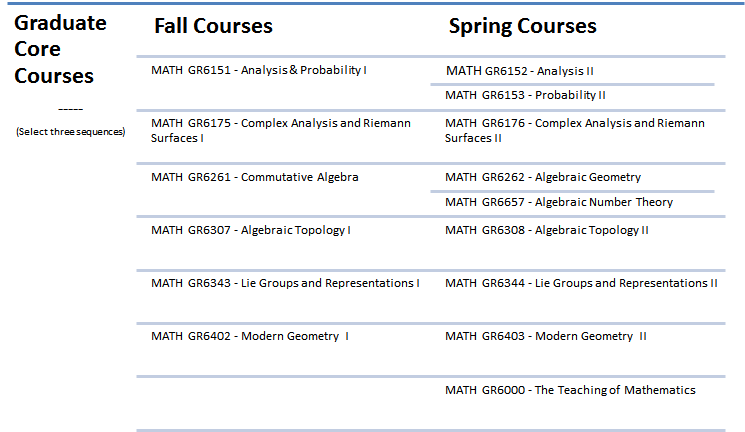 The core mathematics graduate courses are offered in six different areas, and Ph. D. students in mathematics are required to complete three full year courses in three of these six areas. Note that in some of these areas (Analysis and Probability, Algebraic Geometry and Number Theory) there are two different choices offered for the second half of the course. 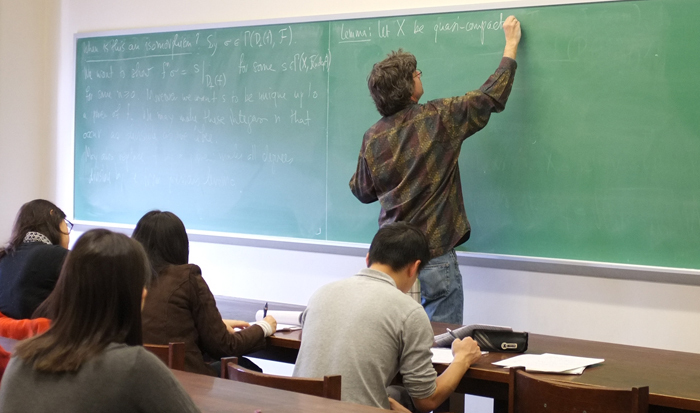 In addition, all incoming graduate students are required to complete a one-semester seminar on The Teaching of Mathematics, designed to provide some basic training in teaching techniques.